Born on January 4, 1926, to a farming family in the small town of Wilmot, just south of Leland, Eddie Cusic came up on a farm during the Great Depression (along with soul blues singer Tyrone Davis). 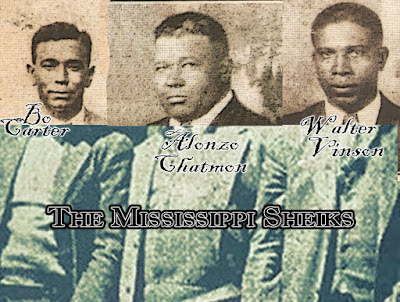 He knew about the blues, and he knew about life in the Delta. After working in the fields each day, the families in his community would often eat dinner together, and the men would bring guitars and play blues music on the porch. This inspired Cusic to create his own diddley bow—a single-stringed instrument fashioned by running a bailing wire, attached with nails, over a glass bottle on a board—at age 12. By the time he was 15 years old, he saved up and bought a Gene Autry acoustic guitar from Sears, Roebuck & Co., and learned that his father had a guitar once as well, though he didn't get very far with it. "My mother told me my daddy used to tote the guitar up and down the turnrow and never did learn how to play, and it must have fell on me," Cusic told Vicksburg artist H.C. Porter in an interview for her Blues@Home art series. "Now, I got the Cusic name on the road—I did. 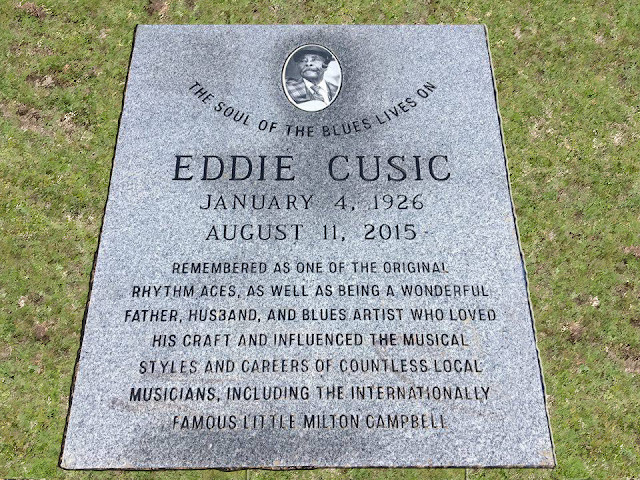 "In his late teens, Cusic met a 10-year-old blues fan named James Milton Campbell Jr., who asked if Cusic would give him some guitar lessons. Eventually, Campbell joined Cusic's first band, a blues trio called The Rhythm Aces, and they performed in clubs across the Delta until Cusic joined the military in 1952. Later, Campbell went by the stage name Little Milton and earned international acclaim on the legendary Sun, Stax and Malaco record labels. 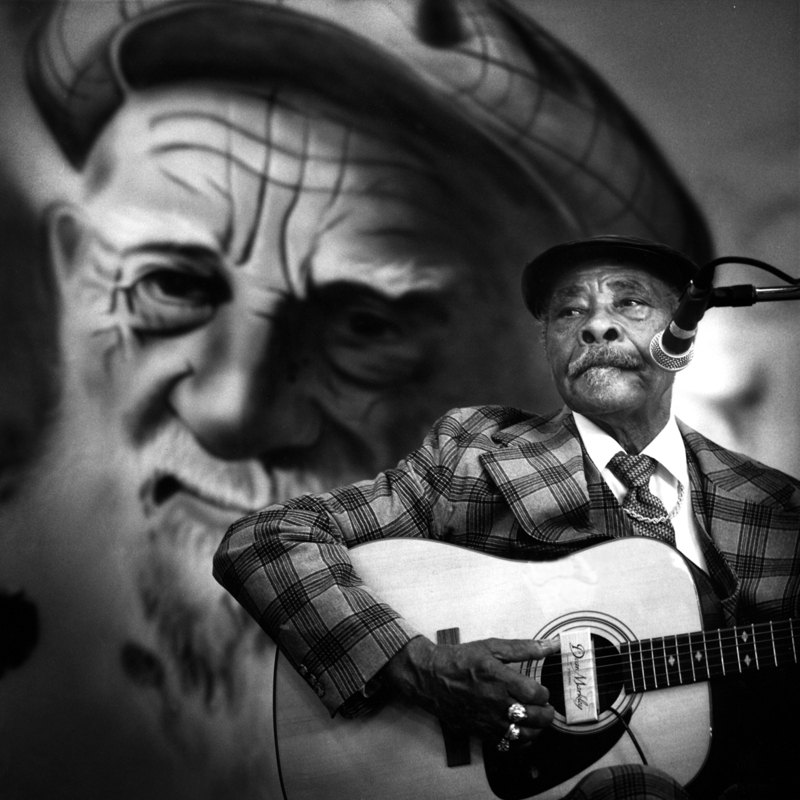 He was inducted into the Blues Hall of Fame in 1988. 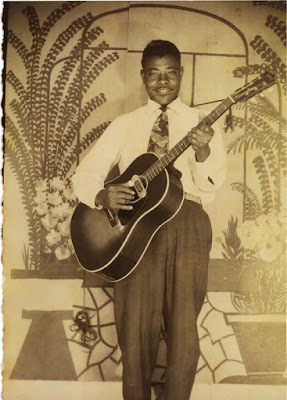 Though Cusic continued performing both as a solo act and with blues artists such as James "Son" Thomas, he devoted most of his time to his day job at the quarry in Leland. 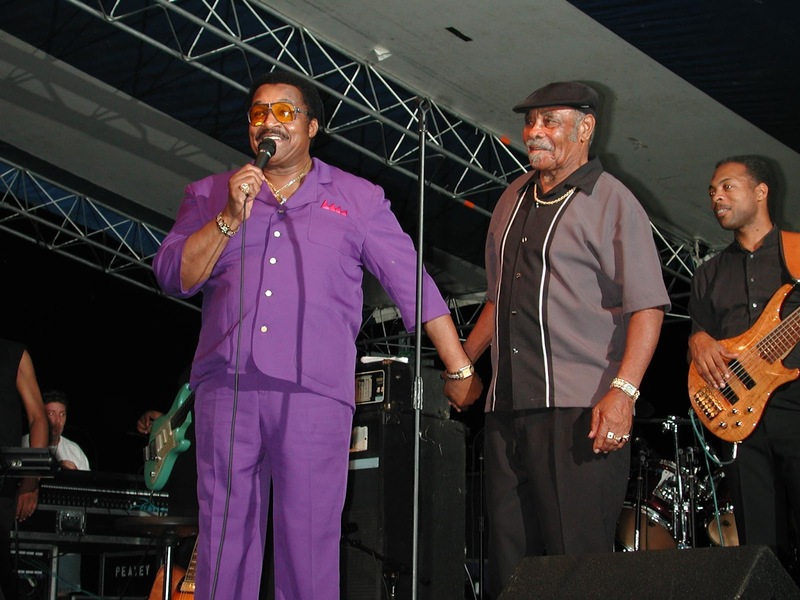 He gradually performed less and less until he retired in 1989 and rekindled his love for blues music. Cusic released his debut album, "I Want to Boogie," in 1998, and played at events such as the Mississippi Delta Blues and Heritage Festival in Greenville, the Chicago Blues Festival, and the Smithsonian Festival of American Folklife in Washington, D.C.
"(I'm) living better now than I ever lived in my life 'cause I come up the hard way—come up without a father," Cusic told Porter. "I think I did pretty good on my own. And now I'm a legend, a living legend. 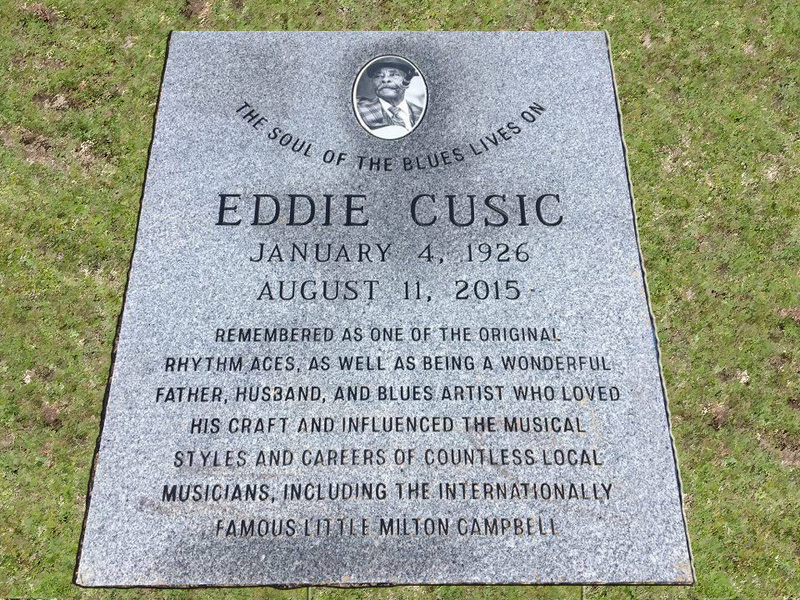 "Mississippi guitarist Eddie Cusic, a man whose contributions to the blues music scene far outweigh his own recognition, ascended on August 11, 2015. He was 89 years old. Per his wish, he was buried in the Legends section of Greenlawn Memorial Gardens, not far from the grave of his friend in the blues, James "T-Model" Ford. The efforts to erect a fitting memorial on his grave began almost as soon as the funeral was over. Cusic's children and family initially worked with Euphus Ruth, of the Mt. Zion Memorial Fund, to design the grave marker for the elder statesman. With all of their ideas on the table, the family agreed on the basic elements of the marker and intent of the wording. 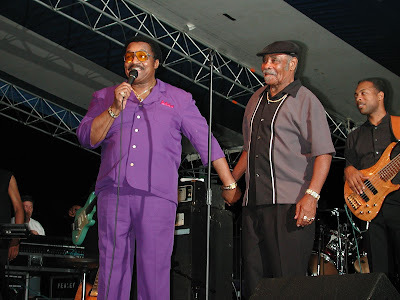 MZMF director DeWayne Moore, at this point, started working directly with his son, Dale Cusic, a popular local disc jockey on WBAD and one-time drummer for local blues diva Mamie "Galore" Davis. Drawing on all their insights, Moore composed the longer inscription for the flat stone marker, which featured a cameo portrait of the blues singer taken by Bill Steber and the phrase: "The Soul of the Blues Lives On." The fundraising campaign to cover the costs of the marker and its perpetual maintenance at Greenlawn Memorial Gardens, a relatively young burial ground with a bit of a checkered past, started online with a video biography of the Eddie Cusic. The biography, in addition to other ads for the campaign, which consisted of film shot of him in the early 1990s for a documentary on the Delta Blues made for the Black Entertainment Network (BET), generated some donations and helped arouse significant interest in the project. Danny and Sharon Peeples, proprietors of the Walnut Street Blues Bar, which her father previously owned and operated under the name Walnut Street Bait Shop, opened the doors of the club to the Mt. Zion Memorial Fund in late July 2016. The benefit concert featured several local musicians, including a poignant tribute by the late Billy Smiley Sr., an epic performance by John Horton, a personality-driven delight by Robert Mortimer, and a particularly pleasant set from the duo of guitarist Charles Sullivan and standup bassist Cody Ruth, whose forceful delivery and intricate phrasing revealed the passion and apparent fire lying underneath the usually mild-mannered artisan. Several notable individuals, such as Cusic's longtime quarry colleague Randy Magee, singer/pianist Eden Brent, Highway 61 blues radio show host Scott Barretta, and former Tav Falco and the Panther Burns bass player Lisa McGaughran, a veritable virtuoso of insight into music coming out of Memphis, were among the crowd of humble folks who came out to contribute to the memorialization of a true Washington County original. The event took in almost a thousand dollars at the door, including several donations that people simply dropped off in an envelope.